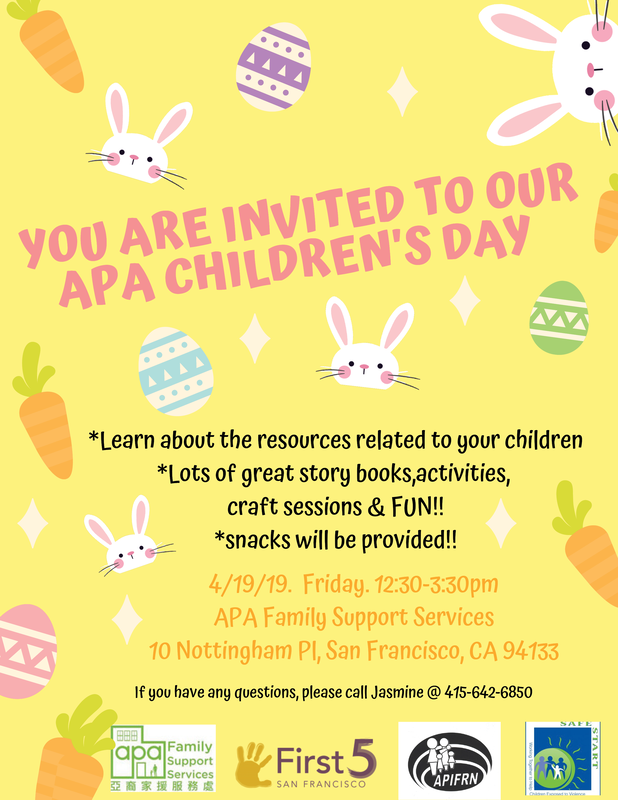 On April 19 we are hosting APA Children's Day with hands-on Earth Day activities and games to promote physical health and mental wellness at our main office in Chinatown/North Beach. An educational workshop will be presented for the benefit of the parents. Oral health, nutrition, and environmental health theme will be highlighted.